READY TO SHIP - 11/16 (17.5mm) Holly Compass Rose Wooden Plugs - Premade Gauges Ship Within 1 Business Day! 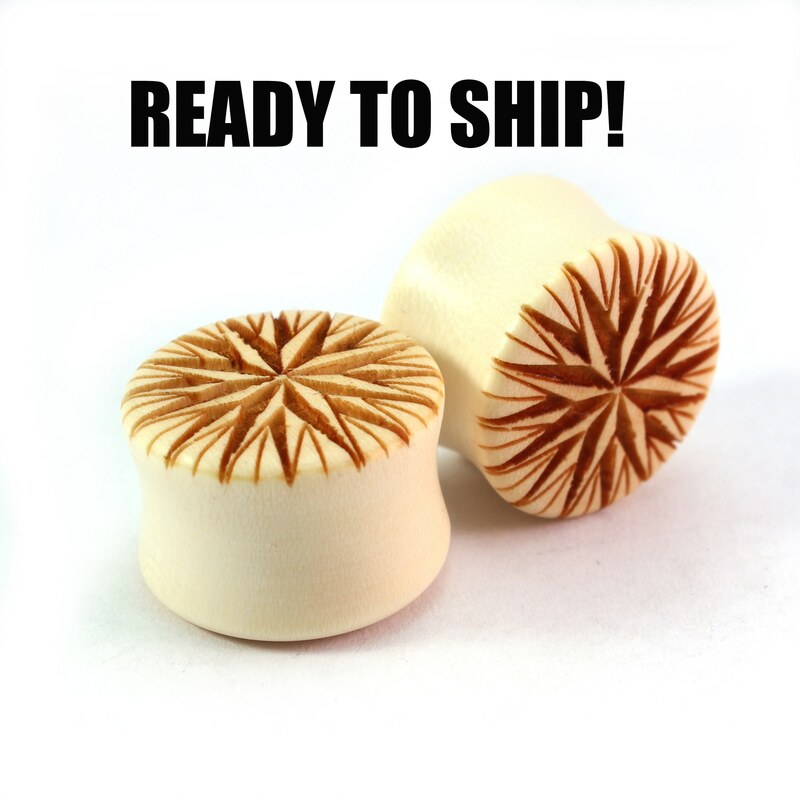 READY TO SHIP - 11/16" (17.5mm) Holly Compass Rose Wooden Plugs - Premade Gauges Ship Within 1 Business Day! Wooden Compass Rose Plugs in size 11/16" (17.5mm) made of Holly wood. The pair of plugs in the photo is the exact pair you will receive.